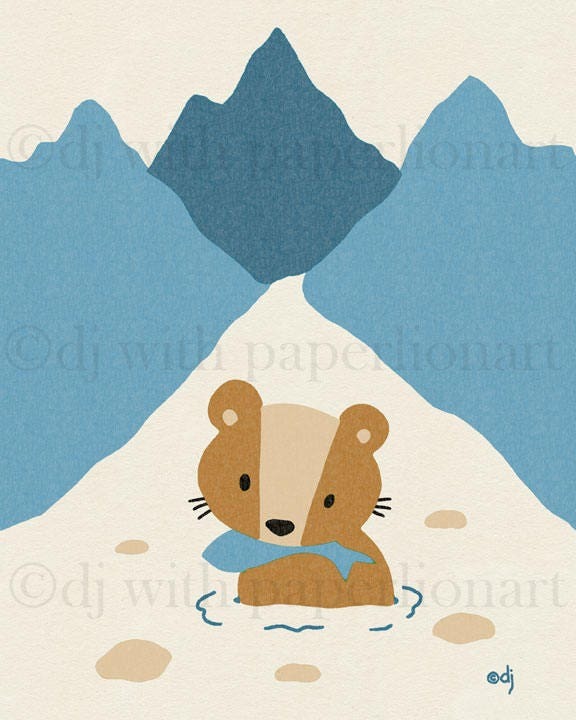 This little bear is ready to bring joy to any room of your house. Printed on matte paper. Image size is 8x10 inches (unless you choose 11x14 size-$29). Will fit nicely into a frame as is or with a mat.